Properties: PET is cream or pale-yellow crystal, with smooth and shiny surface. Resistance to creep deformation, fatigue resistance, abrasion resistance and dimensional stability are perfect. Small wear and tear but high hardness, its toughness is the largest in thermoplastic. The electrical insulation of PET is perfect and little be affected by temperature, however, poor corona resistance. PET is non-toxic, weather resistance, and anti-chemical stability is very good. PET is low water absorption, resistance to weak acids and organic solvents. Intolerance of hot water immersion and alkali. Usage: PET is widely used in electrical and electronic and automotive industries, film and sheet, package bottle, auto parts, machinery equipment. PET can be processed products by injection, extrusion, foaming, coating, plating and print. 1. 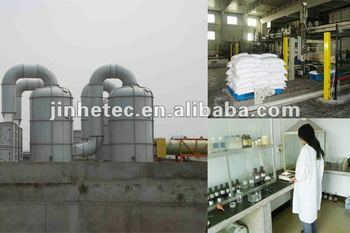 Various types of food, medicines, non-toxic sterile packaging materials; Textiles, precision instruments, electrical components, high-grade packaging materials; Tapes, videotapes, film, computer floppy disk, metal coating and the substrate such as photographic film; Electrical insulation materials, capacitor film, flexible printed circuit boards and membrane switch and other electronics and machinery. 3. Electric products: Manufacture of connectors, coil winding tube, integrated circuit case, capacitor, transformer enclosure, TV accessories, tuners, switches, timer cover, auto fuses, motor bracket, and relays. 4. Auto Parts: Such as distribution panels cover, ignition coils, valves, exhaust parts, distributor cap, casing measuring instruments, small electric motor housings, etc., can also be a good use of PET coating, surface gloss and rigidity, making the car exterior parts. 6. PET Plastic molding can be injection molding, extrusion, blow molding, coating, bonding, machining, electroplating, plating, vacuum metallization, printing. Yucheng Jinhe Industrial Co., Ltd.